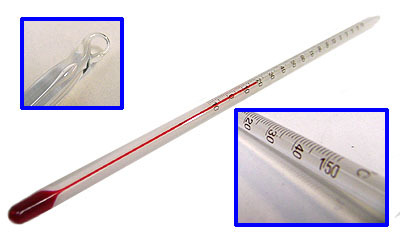 Wide range, dual scale -10°C to +150°C / 0°F to 300°F Thermometer. Engraved black graduations and easy to read red Spirit filled. Measures approximately 12" long with integral ring on top for suspension.